The country is going through "a challenging historical phase". The first cardinal of Myanmar renews support for the civil government of Aung San Suu Kyi and underlines "the important role of the military in the democratic transition. The invitation to the international community: "We need cooperation and accompaniment, words like 'genocide, ethnic cleansing, sanctions, Icc' do not help". Yangon (AsiaNews) - The history of Myanmar "is a wounded story. It is time to heal, not to open new wounds”, writes Card. Charles Maung Bo (photo), Archbishop of Yangon, in an appeal sent today to "those who are interested in peace" in the country. 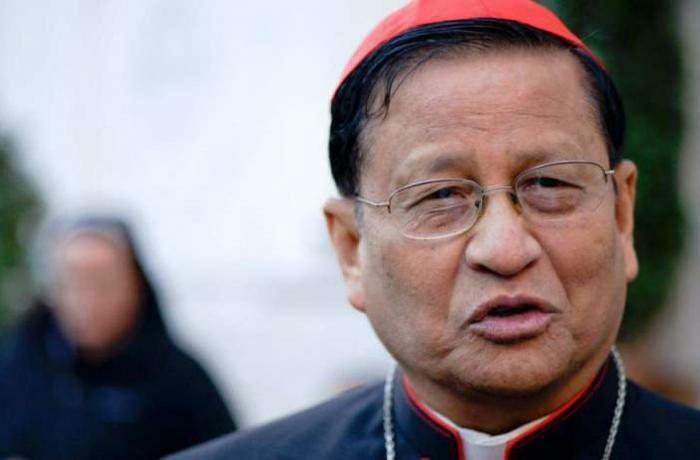 Myanmar's first cardinal highlights how the country is going through " The people of Myanmar have waited long for a meaningful freedom and human development. The youth of this country await new opportunities for development. The students await quality education. Millions of youth await gainful employment opportunities. Thousands of migrant workers await return to home of their dreams. A country waits in hope. A country waits for a new dawn of comprehensive peace". Card. Bo traces the challenges that have marked his people since colonization and identifies in conflict, displacement and migration what has hurt the nation. The archbishop of Yangon recalls, however, that "since 2010, signs of hope have breached the horizon". Among these was in 2016 the establishment of the democratic government, for which "the peace process was an urgent mandate". "Democracy must be strengthened. 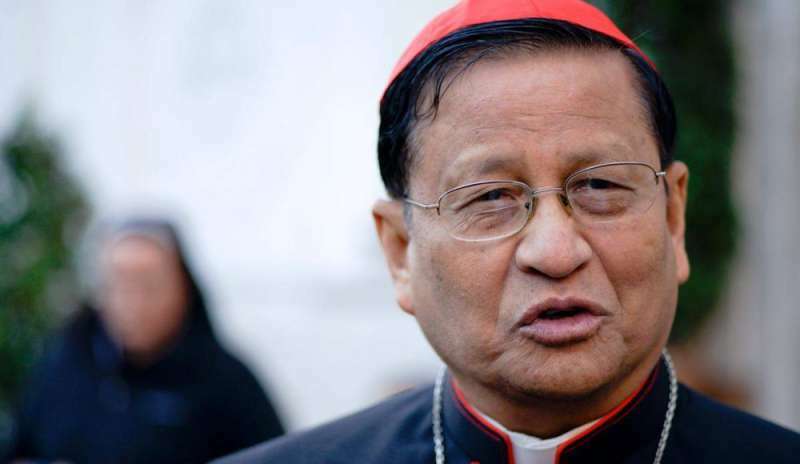 It is still in its infancy, "says the cardinal renewing his support for the democratic leader Aung San Sui Kyi. "In the hands of Daw Aung San Sui Kyi the people of Myanmar invest their hope for a country of peace and prosperity. They hope she will fulfill her mandate by bringing understanding among the civilian government, army and the Buddhist clergy together for durable peace. ". For this to happen, the role of the army in the democratic transition is "very important": "Civil and military government must work together to make this country a nation of hope for millions of people". Card. Bo also cited a joint communiqué issued on 23 August by the Episcopal Conference (CBCM), the Council of Churches (MCC), the Evangelical Christian Alliance (Meca) and Cooperation for the Mission of Christ. The document states: "In this present situation, we feel that destructive elements, undue pressures and disturbances are hindering the Peace Building among the different entities and Union's strides towards building a Democratic Federal Union". Then, referring to ethnic conflicts and humanitarian emergencies afflicting the country, such as those in the states of Rakhine and Kachin, the archbishop criticizes the use of "extreme terms". "[ extreme terms on Myanmar like, genocide, ethnic cleansing, sanctions, ICC would not assist us for our journey towards Peace and Democracy. Understanding our delicate situations, we need cooperation and accompaniment by the international community”. Concluding his appeal, Card. Bo states: “Myanmar is a nation of promise. Let all of us help to fulfill that promise. Let us move forward”.